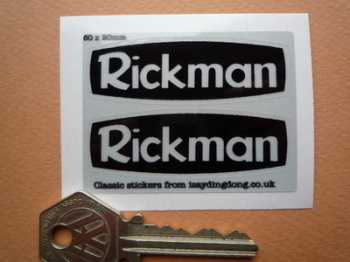 Rickman - I Say Ding Dong Shop - Buy Stickers, Decals & Unique Automobilia. Metisse. Black Cut Text Stickers. 5.5" Pair. 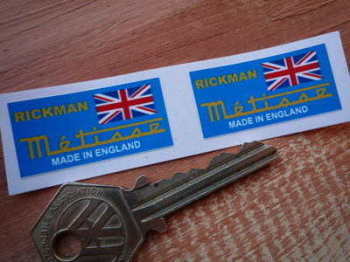 Rickman Accessories England Circular Stickers. 1.75" Pair. Rickman Black on Red Stickers. 5.5" Pair. Rickman Black on White Stickers. 2" or 6" Pair. Rickman Cut Vinyl Stickers. 6" Pair. Rickman Cut Vinyl Stickers. 8" Pair. Rickman Great Britain Union Jack Style Stickers. 2" Pair. 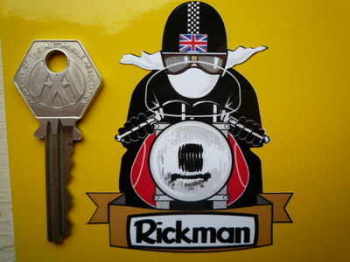 Rickman Laser Cut Self Adhesive Bike Badge. 2.5". Rickman Metisse Clear Background Stickers. 4.5" Pair. 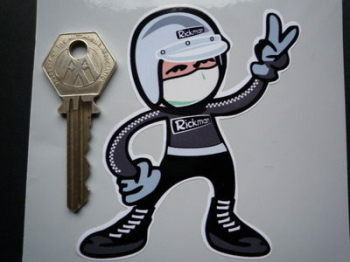 Rickman Metisse Cut Out Stickers. 4.5" or 6.5" Pair. Rickman Metisse Laser Cut Self Adhesive Bike Badge. 4.5". 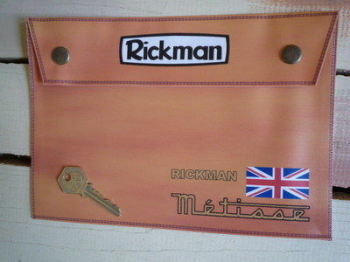 Rickman Metisse Number Plate Dealer Logo Cover Sticker. 5.5". 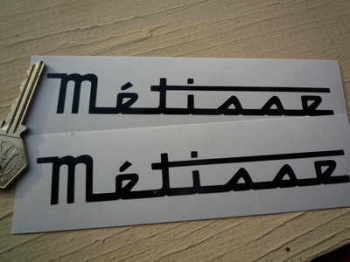 Rickman Metisse Small Oblong Stickers. 1.5" Pair. 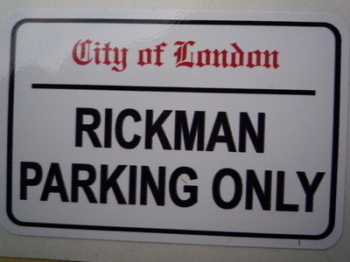 Rickman Parking Only. London Street Sign Style Sticker. 3", 6" or 12". 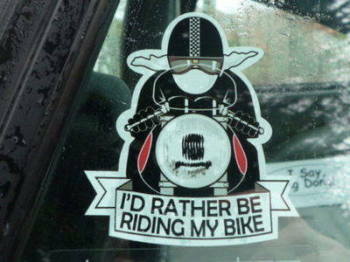 Rickman Pudding Basin Helmet Cafe Racer Sticker. 3". 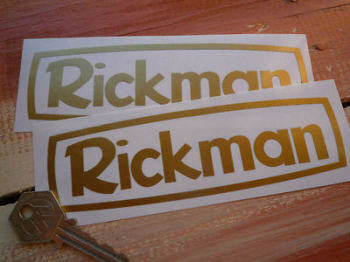 Rickman Reflective Stickers. 60mm Pair. Rickman Rider Jet Helmet 2 Fingered Salute Sticker. 3.5". Rickman White on Black Stickers. 2.5", 5" or 6" Pair. Speedo Trip Reset Smiths Chronometric Larger Style Sticker. 2.5".